According to People, the diamond and gold necklace was a custom piece. The pendant design is an endless knot, which is a Buddhist symbol of "the harmony of wisdom and compassion." 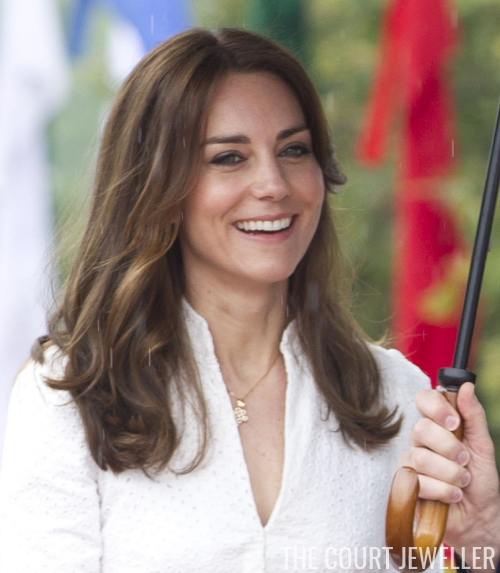 The interview includes a few more tidbits about Kate's tour jewelry, including an interview with Kiki McDonough. You can read the web version of the article here. 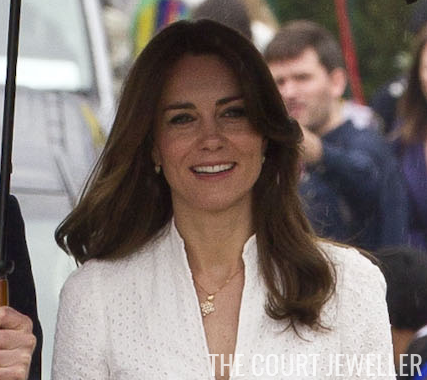 You can also catch up on all of our coverage about Kate's jewelry on the royal tour in our roundup post.